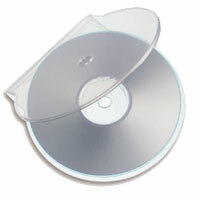 CD-Writer.com supplies only the best quality CD/DVD C-Shells, or 'Clam Shells' as they are sometimes known. C-Shells give your CDs and DVDs the protection they need with a clear, light and professional finish for your final product. C-Shells are perfect for posting and distribution, as they are extremely robust and you can rest assured your product will arrive in perfect condition with your customer. You can also find C-Shells for your 8cm Mini-Discs. Our C-Shells are the best quality on the market today and are at an all-time best price. You won't find this sort of quality anywhere other than CD-Writer.com.